Being buried in reclaimed setts and bricks whilst renovating and restoring Moregeous Mansions is all very well, but if I’m going to create an astounding interior, I need to get me some astounding inspiration. Previous visits to the Clerkenwell Design Week have proven this is just the place for that, so I hopped on the Virgin Express yesterday and started tramping the streets looking for design gilt. It didn’t take long. Drawn into the Hansgrohe studio en route, I spied these beauties through the window and was sold on gold all over again! Brass, copper, red gold, my heart is already a-flutter and with 15 finishes to chose from, there’s simply no excuse for designers not to be bold in bathrooms. I found myself in a rather fabulous folly, (not unlike being at home on site really), created using Hakwood flooring and with a challenge set to create your own stack of, well, anything. Will muse on that tomorrow when back home and may well give Mr M another random task 😉 Moving on I arrived at “Detail” in The Order of St John’s, a gorgeous church hosting some luxury brands and finishes, with a small pavilion outside showcasing a selection of surfaces. More on that area next week in my ‘practical’ post about the show, quaffing fizz in the garden is more this posts style…. Wonderful to see Italian company Fred & Juul elevated from the dungeons of Platform a few years back up into the luxury category, and very well deserved. They make stunningly intricate pieces using geometric shaping, and are very friendly people to boot. I adore this fabric on these totally sinkable beauties by Poliform, pretty much the ultimate book reading, bottom hugging chairs around at the moment. The indigo is the most sumptuously deep colour. Not one to let the cat jump on, perhaps. Really interesting is the furniture by 1Millimetre and lead designer Sara Jaafar Aadipl. Current design is all about marble, it’s still everywhere, but this is a new take on the theme, with a fusion of very crisp and industrial metal bars into the slab. Whether or not it’s your style isn’t wholly the point, more that it’s a step in a different design direction and a mash up of materials which is very 2016 and very future thinking. Big thumbs up from Moregeous. Not surprising that this designer worked with the creatives at the Heathwick Studio post studies, an innovative flair shines through. Equally as gorgeous and *new* feeling are the forthcoming range of taps by the Watermark Collection. Aren’t these just taps to lust over, the sort you see in amazing Pinterest kitchens and want to dive in and stroke? Do Up Diary: I Get Tweetin Seatin! 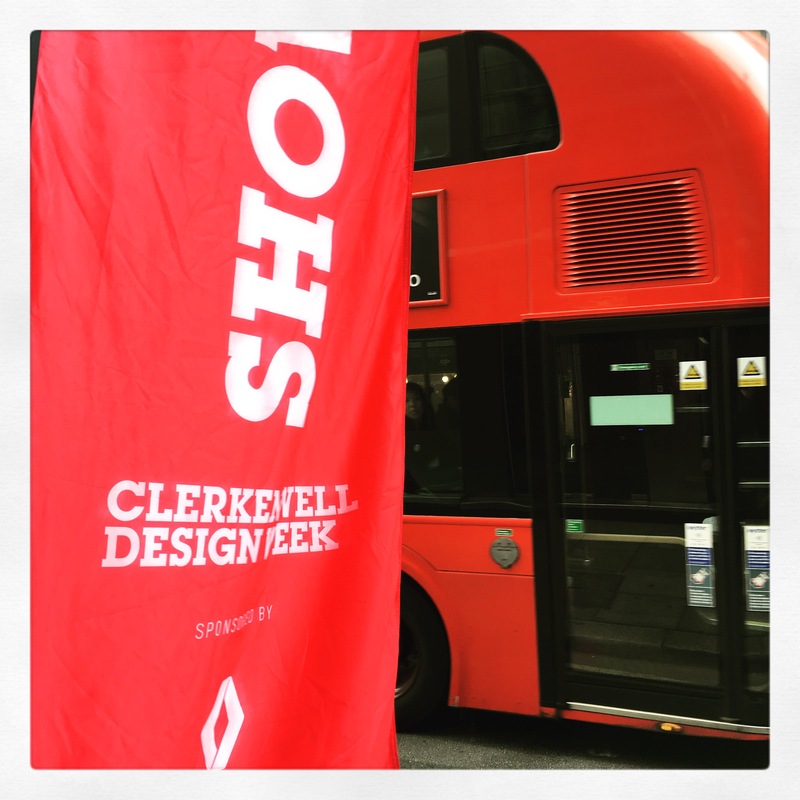 Thank you for sharing, such a great tour for us who didn’t get to go to Clerkenwell this year!